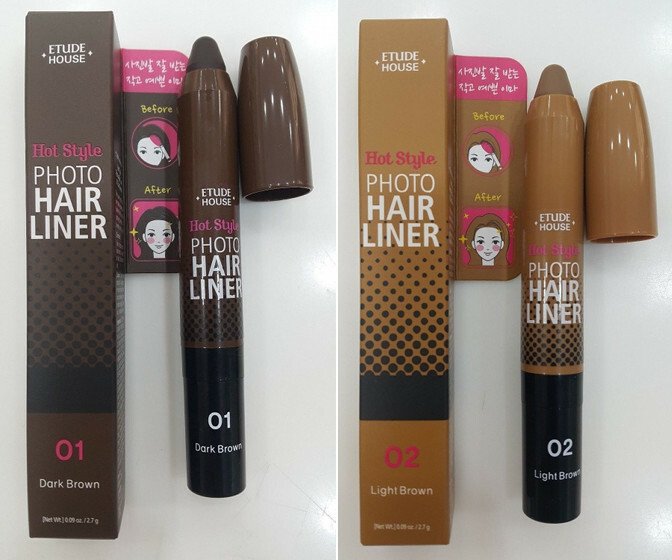 Etude House - Hot Style Photo Hair Liner | Memorable Days : Beauty Blog - Korean Beauty, European, American Product Reviews. 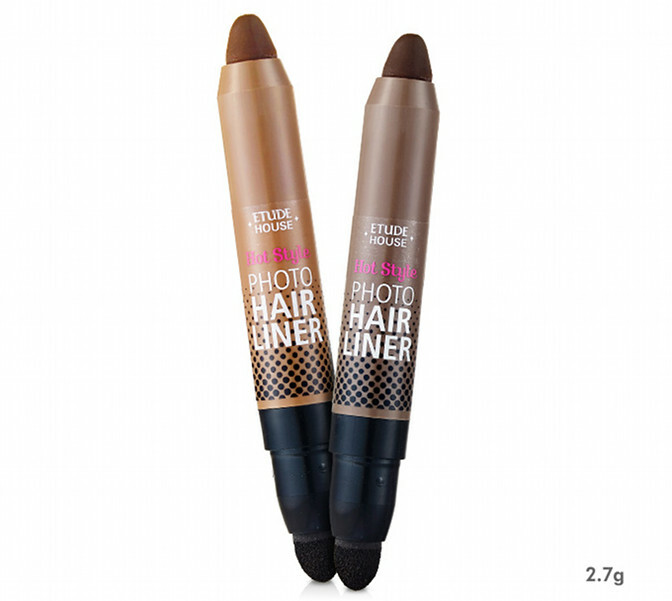 Etude House has created the Photo Hair Liner. I know so many people who wish to have more hair at their hair line. To solve this problem people try to change their hair separation to cover it up. 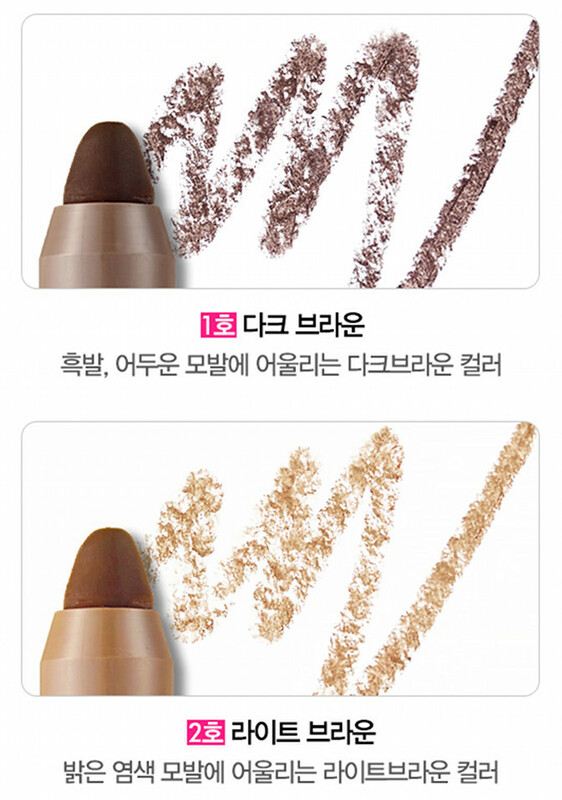 This is also a way, but Etude House has created another option for us. It's called the Photo Hair Liner of their Hot Style hair line. It comes in two shades. It comes in two shades, for darker hair (#1 dark brown) and lighter hair (#2 light brown). This product is created for the hair line. Many girls have this problem, they have bold areas at the hair line area where you wish to have more hair. Now we have the problem solver! 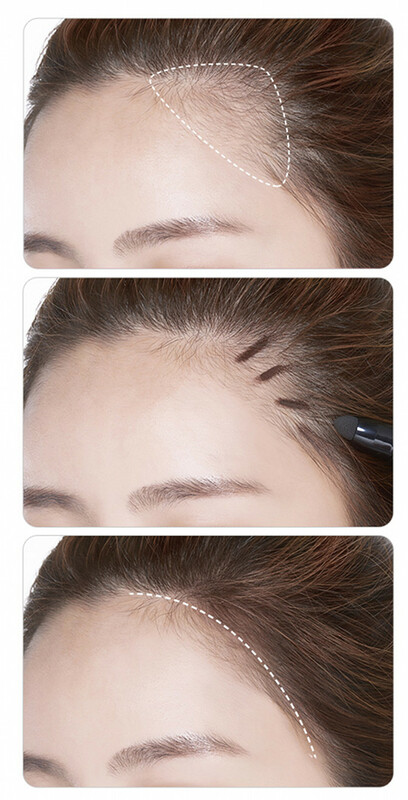 Just apply this photo hair liner and you are good to go. I guess it's called Photo Hair Liner, since it's used more often when taking pictures, but obviously you can use it on a daily basis. Just apply and blur it out. 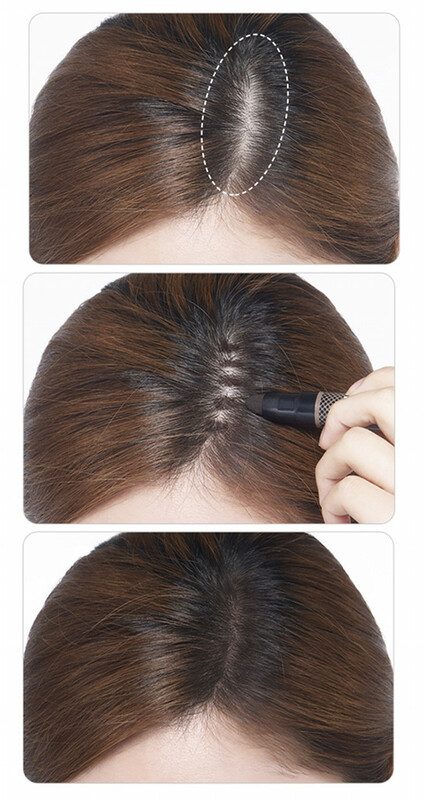 You are able to apply it at your hair separation as well, your hair will look less greasy and it will look more full. Try it and you will notice the difference. It's currently only sold on Ebay since the product is very new. I will update this page once more stores are selling it. On the seller's page it also shows the shade of the products in a more clear view. It's sold at ibuybeauti.com, w2beauty.com, kpoptown.com and twofacemall.com. note: these pictures are from the official etude house website unless stated otherwise, see disclaimer.